The Hydro MPC has been built with application-optimized software. 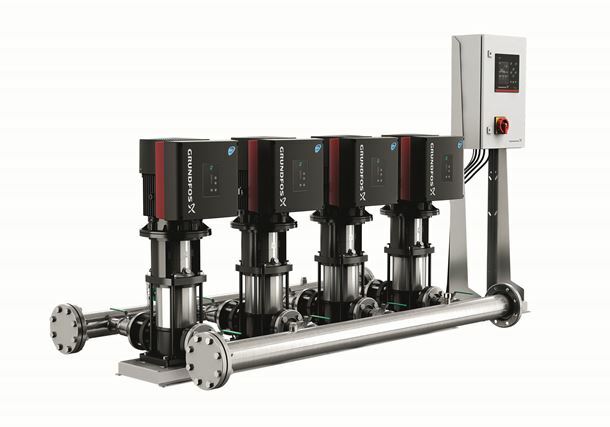 This combination of pump and software in Grundfos’ Hydro MPC range could optimize a system’s performance for any load point, delivering a reduction of energy consumption. Grundfos claims that the IE5 Motor has a 7% higher efficiency and a reduction in the payback time of these controlled pumps. The Hydro MPC pumps with IE5 Motors will be available with systems that are pre-configured from the factory with variety of pump sizes, with the aim of increasing water boosting. The Grundfos Hydro MPC booster systems are designed to last. The compact units should also enable easy access to all service parts. Grundfos Hydro MPC booster systems can be used wherever additional pressure is required.